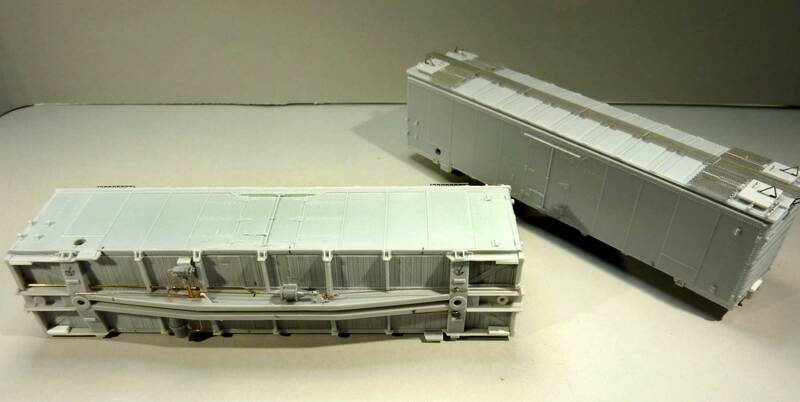 George Toman sent a progress update on his SFRD reefer kits. His initial work was published on this Workbench Wednesday post and the lead image is where he left us. Here’s George with an update. This is a second part of my work on the SFRD reefers. 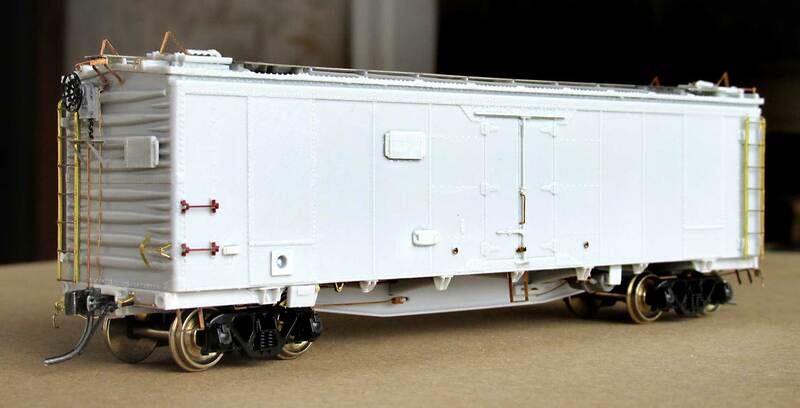 It took a bit longer to finish these up after seeing John Ritchie’s work on these reefer models. There were details on John’s wonderful models that I did not even know should have been there. I had just primed my models and shot a coat of SF Reefer Yellow and decided I needed to add these details. 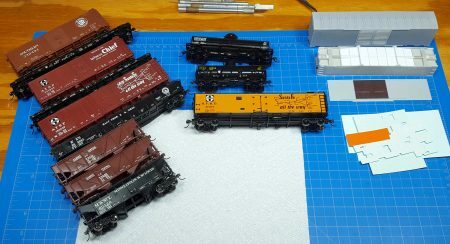 Armed with a couple tips from John and a hastily purchased Santa Fe Reefer book, I made modifications and snapped photos to document the work.